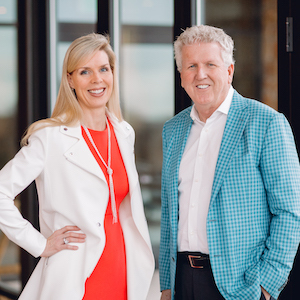 In 2012 Jeff Watson & Cheryl Staley joined to create a team with over 35 years of real estate experience primarily in the market of luxury & golf community properties. Prior to coming to DFW in 2008, Jeff had a long history of selling golf properties in Scottsdale, Arizona. Having played from a young age, Jeff knows golf & the lifestyle of golf. He has lived in Vaquero for many years and understands what clients desire when seeking a golf course property. For over 20 years Cheryl has been involved in the events, marketing & membership sales in private golf clubs by developers such as Oki Developments & Discovery Land Company. She was a part of the team that, in 2001, opened the Vaquero Club and set an impressive standard of service for private golf clubs. With Cheryl’s background in sales & marketing and degrees in photography & graphic design she strives to create marketing initiatives with a strong aesthetic and clear message while providing clients with unparalleled service. Jeff & Cheryl have consistently been top producers representing buyers & sellers with sales averaging over $40 million a year. Their combined experience in the luxury real estate market enables them to provide exemplary service and bring substantial knowledge to the buying & selling process. Jeff & Cheryl complement one another to create an experienced & effective team that is both proficient & distinct.